A big parking around the hotel. Very friendly staff both with check-in; check-out and in the restaurant. Nice room with great bedding. The food in the restaurant was delicious. Fast check-out service is excellent. I forgot my after shave and within 2 hours front desk send me a e-mail to inform me. Small criticism: I would not recommend room 206 (and probably 05&07 because it’s situated right above the smoking zone from the bar&restaurant. I left my room open during dinner for freshness but it turned out to be smoked. It gives also noise until the venues are closed. Overall a nice stay. Calm, peaceful hotel with friendly staff. Carefully chosen menu, with enough choice for all tastes. Excellent buffet breakfast. I have stayed here before as it is a comfortable hotel. This is the first time I have eaten here and was very pleasantly surprised. The food was very good with lots of flavour and I would eat here again. 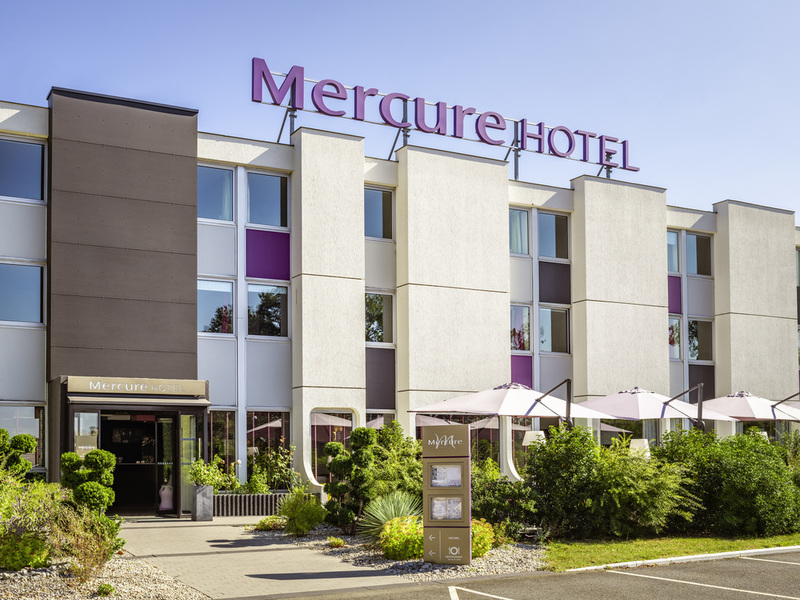 Fist time we have stayed at this Mercure, we shall certainly return the rooms were comfortable and quiet. The restaurant was excellent, they were proud in what they offered and it reflected in the whole experience, Many of the Hotels in the Accor group could learn a lot from this kitchen, the The Manger of the hotel and the Chef and his team are to congratulated. Thank you. On arrival at the hotel after midnight we were allocated room 10 when we entered the room it had not been cleaned, we were then allocated room 6 which again when we entered it had not been cleaned. We were then allocated room 126 which hurray was cleaned ready for occupation so we finally had a room to sleep in. This whole check-in experience had taken 1 hour. Not good when your guests arrive late after a long journey. As on previous visits, excellent service, room and food. Room for reduced mobility person is superb. ( It has the same problem as in ALL Ibis and Mercure Hotels that we have stayed in - the drainage for the shower is not sited to take water adequately and means that we have to use several towels on the floor to keep the surface safe. ) However, the staff cheerfully supplied us with more and this is a general Accor problem NOT a criticism of Bratignolles. All the staff are friendly and helpful and the dinner and breakfast a real treat. The manager was quick to deal with a small problem of noise from an early morning delivery outside the window and made us feel that he was grateful that we reported it , instead of making us feel that we were a nuisance - as so many managers would. Thanks- we'll see you again. The staff were pleasant and welcoming. The room and corridors were very ordinary and standard had hope for a little more. As an example, there were not even china mugs in the room...just paper cups. Felt like a US motel. A good hotel with a fine restaurant. Hotel clean, well located. Staff were happy to help with anything we asked. Room was a little small for a long stay. Ideally located with a nice welcoming feeling. The hotel was easy to find and located in a quiet area of the city. The rooms were lovely and very clean. The restaurant was very good as well - all in all a very pleasant stop over. A good stay and the hotel was quiet considering it is quite near a very busy road. The superior room we had was big enough for one night and the bed was comfortable but we didn’t like the plastic desk and chair. And it would be much better to have proper cups in the rooms rather than paper cups. The dinner we had was very good, as was breakfast. Good service from all the staff. Friendly welcome after a long journey.